My working process begins with the initial inquiry. A potential client will have questions and I seek to answer them in full, as well as some of my own. I always like to know an author’s aims for their book, where they feel they are in the editing process, and of course, if they have a publishing date in mind. 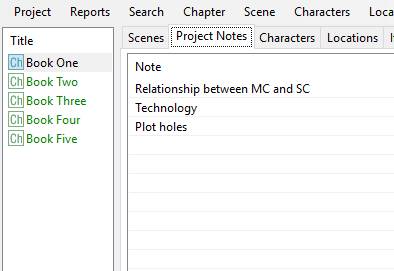 With the niceties exchanged, and if the author is interested in what I have to offer, I provide a sample edit (usually within twenty-four hours). I always ask for a chapter or two for the sample as this gives me an opportunity to get a feel for the author’s writing, although I only mark up a few pages. 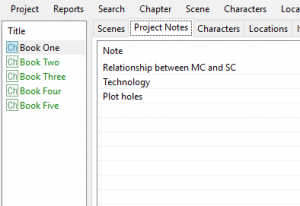 It is quite hard to do a developmental summary as the full story is required to assess most of the elements, so I use the sample process to explain what I look for and how I make notes and markups – a sample of what to expect from me with a full edit really. Once the file is returned, an author will either engage in further negotiations or disappear into the ether. From my perspective, it is disappointing not to hear back from an author who initially seemed enthusiastic, but I understand that I won’t always be the right editor for a manuscript. Spending time on samples and not securing a project is part of being a freelance editor and I hold no hard feelings for author’s who decide to go elsewhere. For those authors who decide they would like to hire me, further negotiations are entered into: prices, dates, what is expected of each party etc. All of these negotiations are entered into via email or Facebook messenger. Upon their conclusion, I will issue a service agreement and an invoice (half of which is due the day before editing commences). My first task involves reading your manuscript straight through. This allows me to lose myself in your story and get a feel for your characters, world, setting and writing style. During this stage of reading, I will note where I laugh, cry, where I am confused, bored, excited etc. I do no analysis at this stage. Upon completion of the book, I summarise my feelings:. Am I craving the next book? Did I get caught up with the story only to feel dissatisfied with the ending? Was it a drag to read or was I turning the pages as quickly as possible? How close did I feel to the characters? Am I craving the next book? Did I get caught up with the story only to feel dissatisfied with the ending? Was it a drag to read or was I turning the pages as quickly as possible? How close did I feel to the characters? Did I get caught up with the story only to feel dissatisfied with the ending? Was it a drag to read or did I set a new speed-reading record? How close did I feel to the characters? Am I missing them already or am I glad to see the back of them? I write my thoughts in a document you will never see as it would embarrass me. It is on par with a ramble, is in no order whatsoever, and details my reading experience of your manuscript. I am a great believer in engaging in a period of rest between editing. Having read your book and written down my initial thoughts, that is exactly what I do. I close your file, put it away, and don’t start the developmental edit for another week or two. During this period, I work on other books, but your story is mulling over in my mind. I explore what I have read, make connections, consider the plot and characters, and if I came across any plot holes, I am assessing them too. This is the second read, during which I make copious notes, write comments and make in-text adjustments. By this point, I have been thinking about your story for a week or two, have taken the opportunity to distance myself from it, which still having the story, plot etc fresh in my mind. It is very different from the first read when I didn’t know what to expect. During this second read, I know exactly why Character A wants to get the attention of Character C while avoiding Character B, and so approach this read in with an analytical mind. Do Character A’s methods of attention seeking work? Are his/her motives valid? Are they realistic? But, I am also considering your writing style. Are you telling me the story or inviting me to walk alongside your characters, sharing all they experience and learn. Do they take forever to make a point or is their dialogue short and snappy? I don’t write editorial summaries. I feel it is better for me to raise a comment beside the text than summarise my suggestions in a document. I have not had any negative feedback concerning this method, and so this is how I continue to work. The only time I write an editorial summary is when I have been hired to do a critique. My comments are usually questions, such as ‘would he really act this way?’ or ‘do you think s/he might be better…’ My goal is for you, the author, to expand on something you have written to further develop it. On occasion, I will provide suggestions, usually a selection of choices. Again, this is to encourage you to expand your thought process and look a little deeper. I also edit in-text. 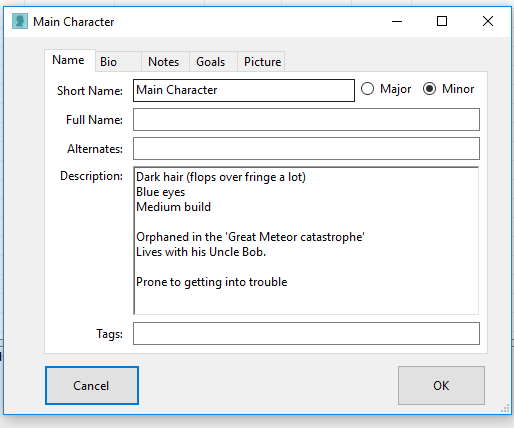 I may move a paragraph to what I consider is a more logical order, trim some narration or dialogue, or delete chunks of writing outright. I will always justify what I do so you can see it through my ‘readers’ eyes. I have been known to suggest the removal of chapters before now. In such an event, I would contact you to discuss my reasons and concerns in detail. It is not a suggestion I take lightly. I consider a lot of elements during this edit, and through the course of reading and editing, I also take the time to make a book map. A book map enables me to track characters, settings, timelines, themes, items, relationships, plot etc. It is very similar to what an author might do while planning their story before writing, but I book map while doing the developmental edit. 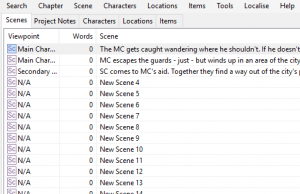 I detail the chapters, characters, locations and items, while making project notes for themes and any element of the story I wish to track. This is an example of the level of detail I note. As I read, I make a note of anything the author tells me and add it to this box. 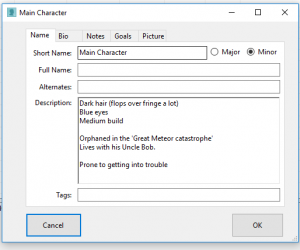 It helps snag changing personalities (without good reason), eye and hair colour changes between books and scenes, and also allows me to build a picture up of each character. There is a separate section for their bio and goals, and I can even upload a picture. 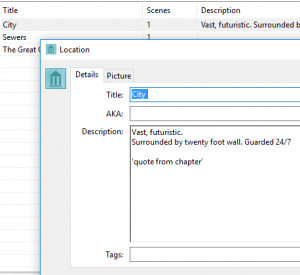 There is a similar one for items and locations, and as you can see in the picture, I can also assess how often a location appears in a book (also characters and items). Book mapping is particularly important for editing series works (as most of my clients tend to be). I keep all series books in one file, so I always have the main characters, locations, items etc on file. This prevents the need to hunt through previously published books as I have the information to hand. The manuscript is returned by the day specified in the contract (usually in the dying hours of the agreed date), with a note that you are free to contact me with any queries that arise through the comments and edits I have made. I also raise the second (and final) invoice at the point of return. At this point, it is the author’s opportunity to read through the comments and make any appropriate changes, while remembering that all I have suggested are just that – suggestions.